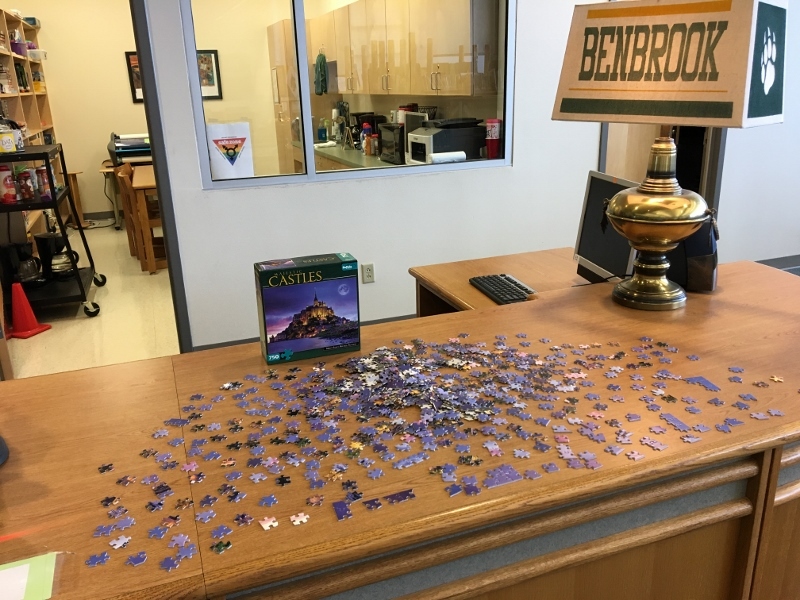 At Benbrook Middle School in the Fort Worth, TX, area, I encountered a simple, clever idea: a puzzle on the library checkout desk for all to contribute to. I'm told the puzzles get solved faster than I would've guessed. Guess the library has so many students eager to read that the checkout line is so long that more students have more time to participate! i'm going to try this in my classroom next year.